What are the main types of ceiling lights? Can I get a sensor-controlled ceiling light? How bright is a ceiling light? Can I use any ceiling light in my bathroom? Are your ceiling lights fire-rated? Get a lot more over head for a lot less overhead. 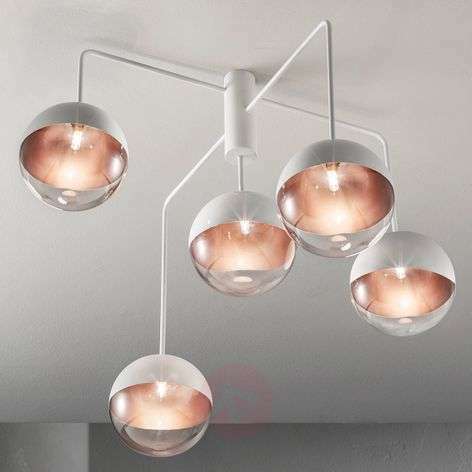 Ceiling lights are very important for two reasons: They are the main source of illumination in most rooms but they also set the whole tone for your space. They provide functional illumination so that you can see what you’re doing, of course, but they also create highlighted areas, shadows, personality and character. All of this means that choosing the right ceiling lights is a crucial part of your interior design and home styling. Every room in your home needs to be lit properly so that you can carry out even the most basic tasks of living: cleaning, entertaining, relaxing, cooking, eating or even exercising. Ceiling lights provide the light to do all of this comfortably. With dimmer switches they can completely change the mood of a room. With great shades they can lead the design personality. With recessed spotlights you can arrange just the right amount of functional light or even highlight paintings, art, furniture or areas of each room. Naturally, all rooms need ceiling lights for a certain level of background or ‘normal’ light. Each room needs to be treated for what it is and what you use that room for. A bathroom, for example, needs different ceiling lights to a living room. A bedroom is different to a dining room and your kitchen needs different lights to your hallway. At www.lights.ie you’ll find exactly the right ceiling lights for each and every room and area of your home. And because you’re buying them directly from us, you’ll get a lot more over head for a lot less overhead. Why are ceiling lights so important? Ceiling lights are a very important part of your interior decoration because they set the tone for the whole room. They define the character for decorating the space, influencing floor and wall finishes, colours, materials, fabrics and furniture. They can be used as the main lighting for the room or as background lighting or, if you have installed spotlights or downlights, they can be used to highlight features – paintings or a piano, for example. In practical terms, ceiling lights are important because they can disperse light through the room from the highest point in the room – the ceiling. Which design is right for me? When you’re thing about a new ceiling light there are lots of choices for you to consider. To make it easier to decide the right one for you, think about what function you need the new light to fulfil. Are you just looking for a plain light that will simply illuminate the room? Do you want something that will sit well with your existing design scheme or to match, say, a coffee table or a couch? The good news is that we can help – simply ask one of our advisors in customer service. 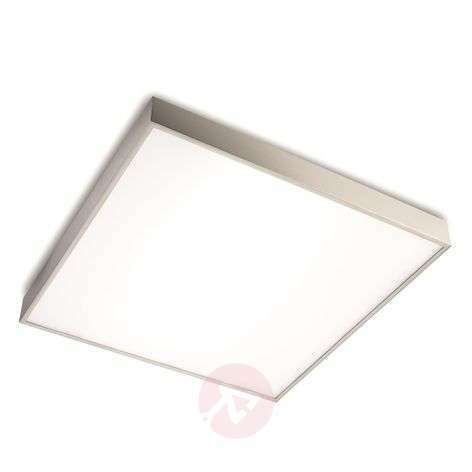 Yes, we offer a full range of dimmable ceiling lights. 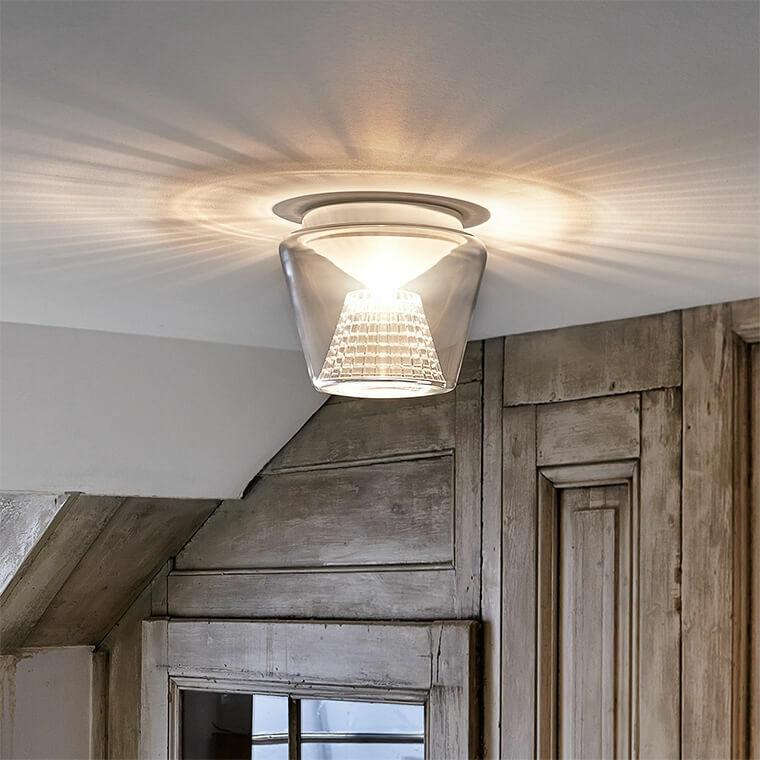 When you find the perfect ceiling light just check the specification on the product detail page to make sure it is dimmable (if you’re in any in doubt). 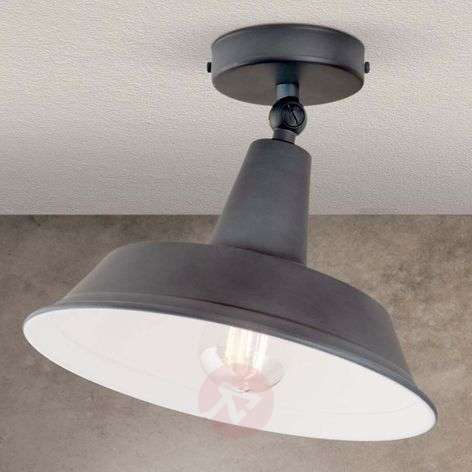 If you find a ceiling light that you love but it’s not marked as dimmable, you may be able to use a dimmable light bulb instead – just ask one of our advisors. If you are not confident about installing a dimmer yourself then always consult a qualified electrician. How do I install ceiling lights? Our ceiling lights are all pretty straightforward to install and each one comes with detailed step-by-step instructions. Please remember that if you have any doubt about installing your own lights yourself, then call a qualified electrician to do it for you. Is the light bulb built-in? Some ceiling lights have built-in bulbs but you’ll have to check the technical specifications on the product page for that light to be sure. If the technical specifications do not specify a base type then the light bulb will be built-in and will have a life span of between 20,00 and 25,000 hours (most LED lights have built-in bulbs). There is a very simple way to tell if a ceiling light can be used in a bathroom. Every one of our lights has an IP code in in the technical specifications on its product page. If the last digit of the IP code is 4 or more , the light can be used above the mirror in the bathroom. If the last digit is higher than 4, the light can be used above the shower. Please don’t forget that you should always ask a qualified electrician if you have any doubts. That depends. The brightness of each of our ceiling lights is measured in “lumens” and you can see how that compares to older measurements of watts on the table to the right. Look for the rating in lumens in the technical specifications on the product page of the light you want. It’s worth remembering that modern LED ceiling lights are not the cold blue they used to be but are available in a warm or neutral light as well (and are extremely energy-efficient). Yes, and we stock a range of sensor-controlled lights for you to choose from. These are ceiling lights that switch on and off automatically which means there is no need for switches. This makes them perfect for doorways and garages, etc, or hallways where you might be carrying things and not have a free hand to switch on a light. 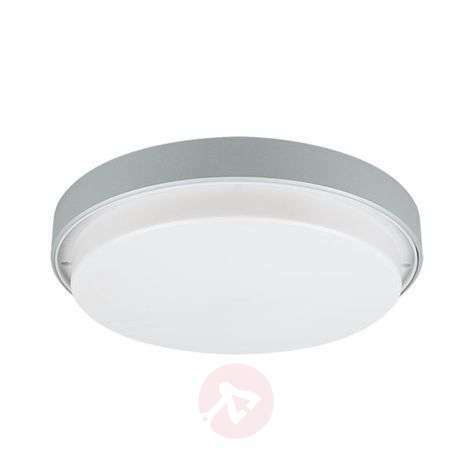 You can see our full range of sensor-controlled ceiling lights in our shop. Do you have ceiling lights with fans? Yes, follow the link to see our range of sensor-controlled ceiling lights. All of our lights comply with European norm DIN-EN-60598-1. For full details please just ask one of our advisors who will be more than happy to answer any questions you might have. and get your exclusive €10* voucher! We'll keep you up-to-date about the latest interior trends, new products and recent offers. *Minimum purchase value is €75. Redeemable on www.lights.ie in a single transaction. Valid until 31/12/2019. You can unsubscribe from our newsletter at any time with a single click.